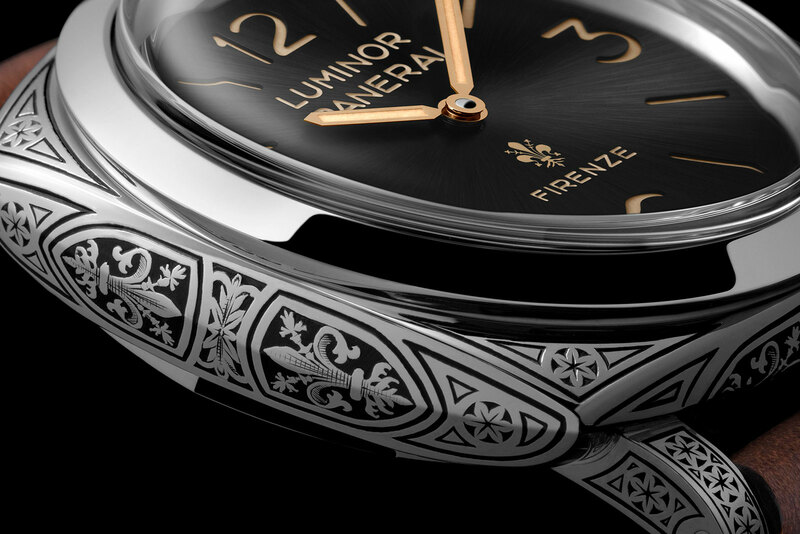 In the manner of a handful of limited editions in the past, the Panerai Luminor 1950 Firenze 3 Days Acciaio (PAM00972) is fully engraved, with the front and sides of the case, and even the movement, covered in traditional Florentine motifs. Previously found only on Radiomir limited editions or complicated models, the new Luminor Firenze is the first time-only Luminor with an engraved case. It’s 47mm in diameter, making it essentially an engraved version of the well loved and quite traditional Luminor PAM 372. 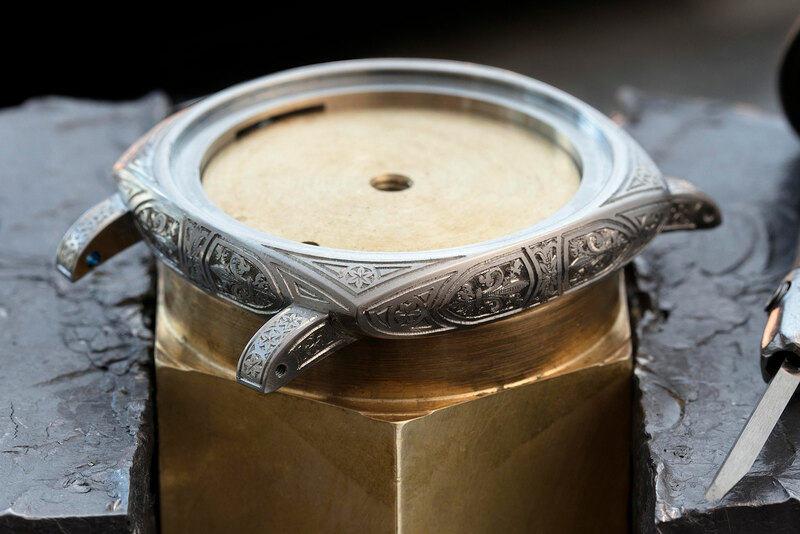 As before, the case – including the trademark crown guard bridge – is engraved by hand and then filled with black lacquer. Most prominent are the pair of fleur-de-lis on the case side, the emblem of the city of Florence. The fleur-de-lis, or Florentine lily, is repeated on the dial at six o’clock. The dial is a metallic dark grey, finished with radial brushing. It has a sandwich construction, which means the luminous hour markers are cut-outs on the dial, with the Super-Luminova painted on a disc underneath showing through. 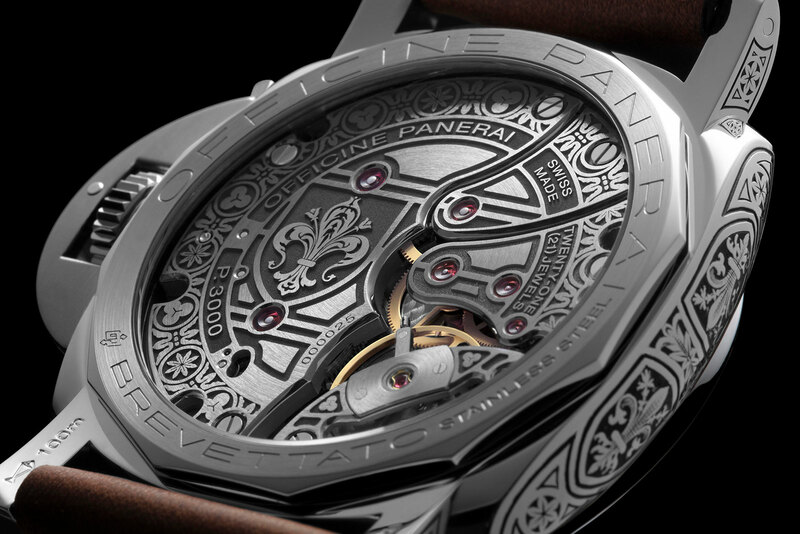 The P.3000/F movement is laser engraved with the same motifs found on the case, but engraved more deeply and with cleaner edges due to the technique. 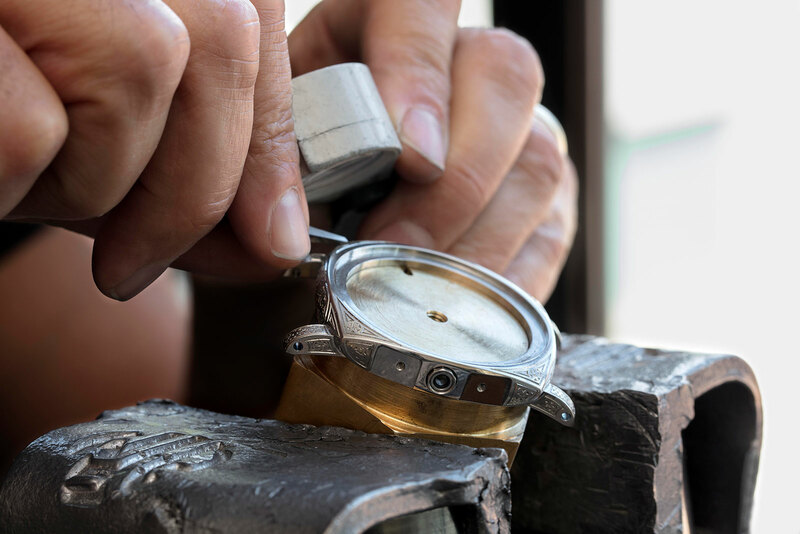 Mechanically it’s identical to the standard version of the movement, being hand-wound with a three-day power reserve. 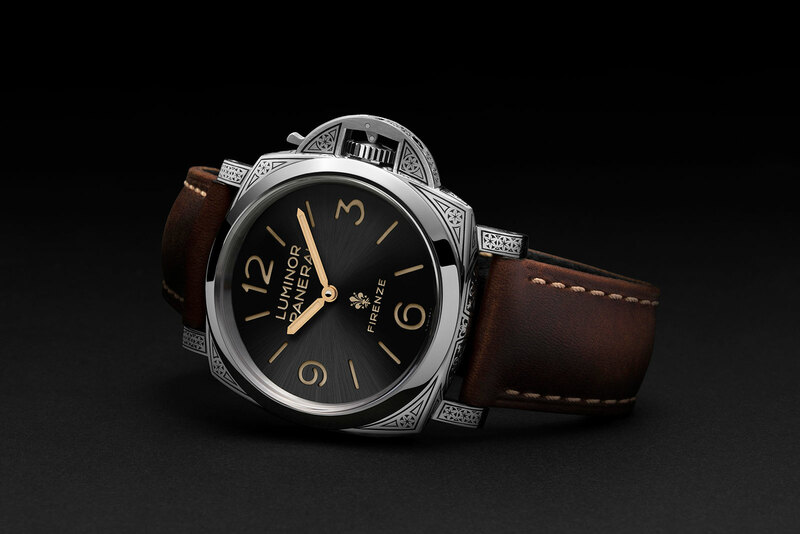 The Luminor 1950 Firenze 3 Days Acciaio (PAM00972) is available only in Florence, at Panerai’s historic store on the Piazza di San Giovanni, as well as the smaller boutique in the Four Seasons hotel. 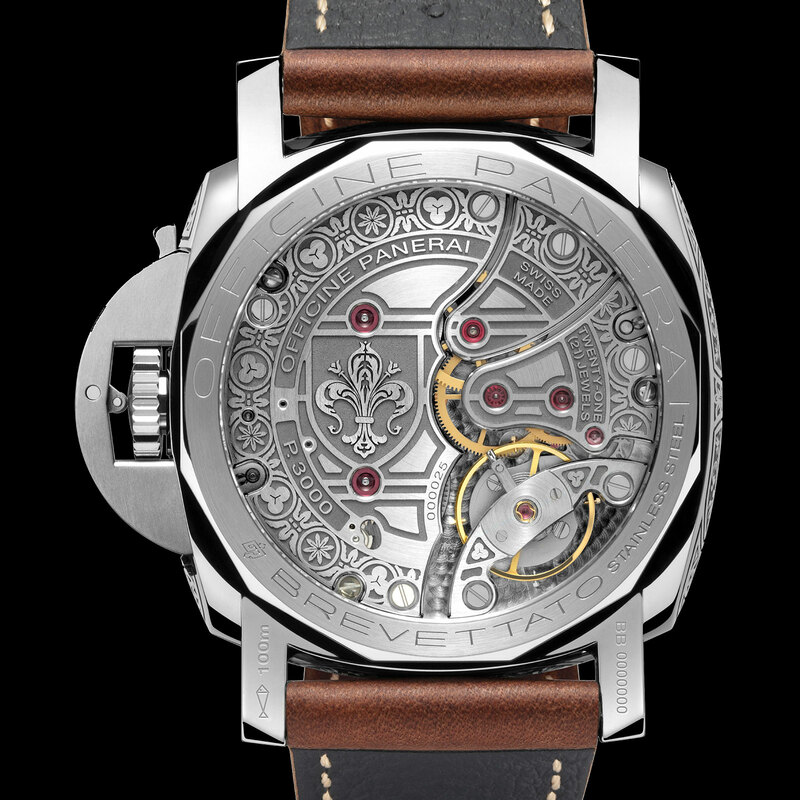 Limited to just 99 watches, it’s priced at € 28,000, including Italian tax of 22%. 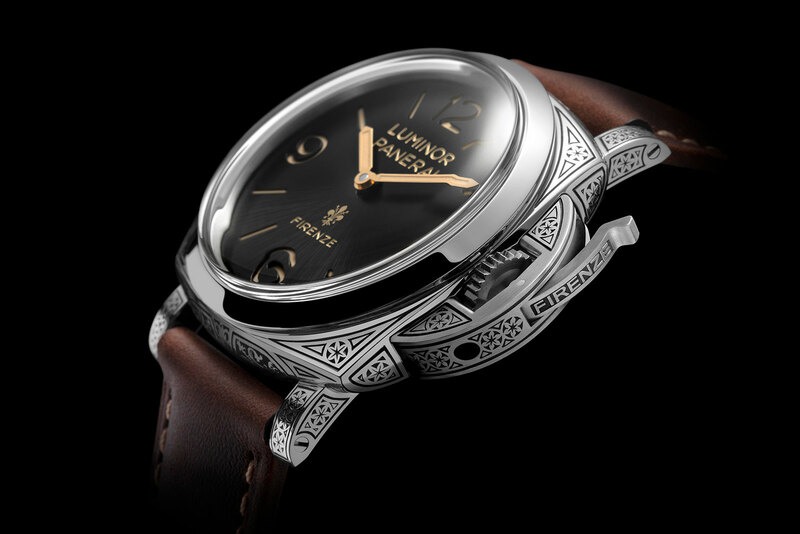 The latest Panerai is one for traditionalists, sticking close to historical aesthetics, particularly the landmark ref. 6152/1 of the 1950s.